The University of Texas at El Paso is just one of the fine institutions of higher education within the University of Texas system. The UTEP campus boasts 25,000 students and a broad selection of academic programs, as well as the opportunity to live on campus. However, many students take advantage of the chance to save money by living off campus. Caprock Apartments provides students with the opportunity to live in an established community with desirable amenities, while remaining within easy commuting distance from the UTEP campus. 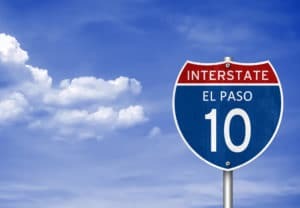 With easy access to I-10, Caprock Apartments is located just 30 minutes away. It’s an ideal balance, allowing students to fully enjoy the advantages of campus life, while allowing them the opportunity to gain some distance when they need it. Caprock Apartments is located in an ideal location for students who wish to enjoy the advantages of living close to downtown El Paso, with its shopping, nightlife and cultural amenities. At the same time, the community also allows an easy commute to classes, games, performances and other events on campus. While many students thrive in a 24/7 on-campus environment, for other students, living off campus allows them to decompress from academic pressures. For these students, Caprock Apartments offers outdoor activities and serene surroundings to provide much needed downtime from books, lectures and study groups. The complex is also located close to Franklin Mountains State Park. Students can enjoy day trips outdoors, hiking, biking or simply the beauty of nature and the outdoors.